This is a HUGE day for all you Simply Sadie Jane readers! I don’t know if you guys know this or not, but my husband is a huge reason why this blog is successful. 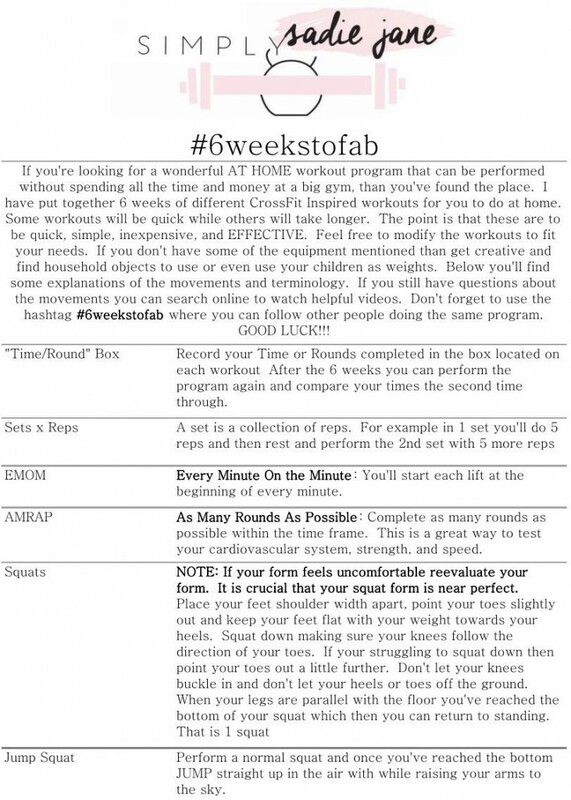 We put this 6 week program together for husbands and wives to do in the comfort of their own homes AND NOW, my husband has busted out the most amazing printable for you all! We’ve learned a lot and read all your emails and we primed the program just enough to make it even more awesome for EVERYONE. 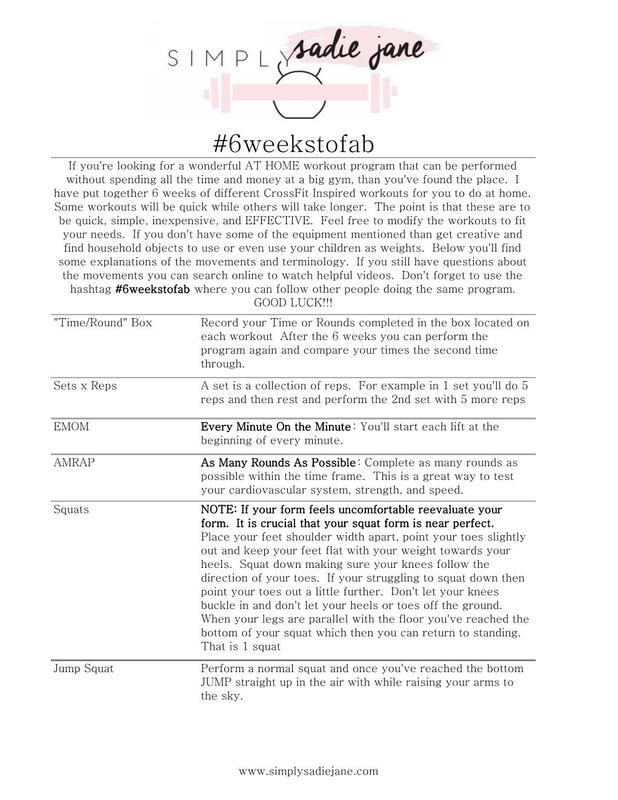 I will be releasing each week’s printable every Monday, so make sure to come back and print them off. Tape them on your walls or TVs or closet doors and get fit at home with me! BUT WAIT…that isn’t all we are giving you guys today! 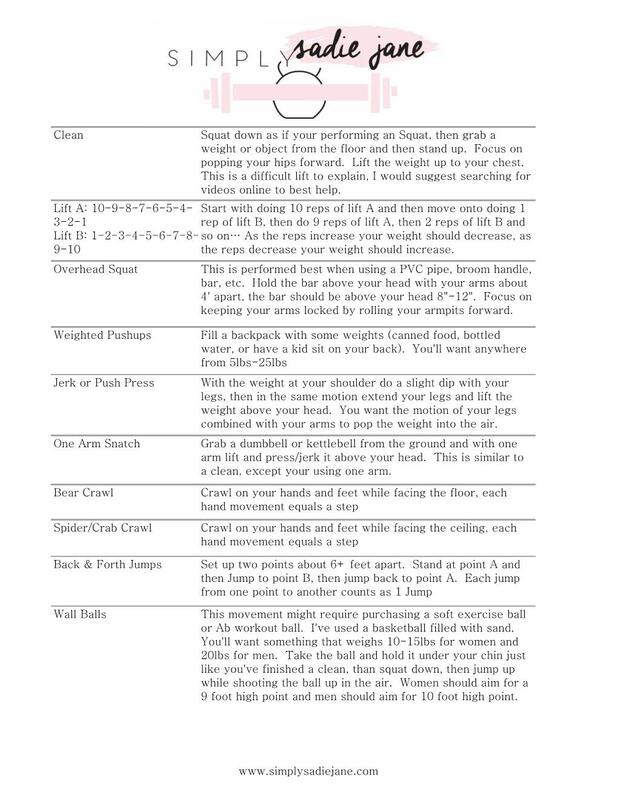 How about a PRINTABLE with the detailed instructions of every single movement in the program? HOLLA!! don’t forget to check out the tutorial video that shows how to do the all the movements that you might not know how to do! 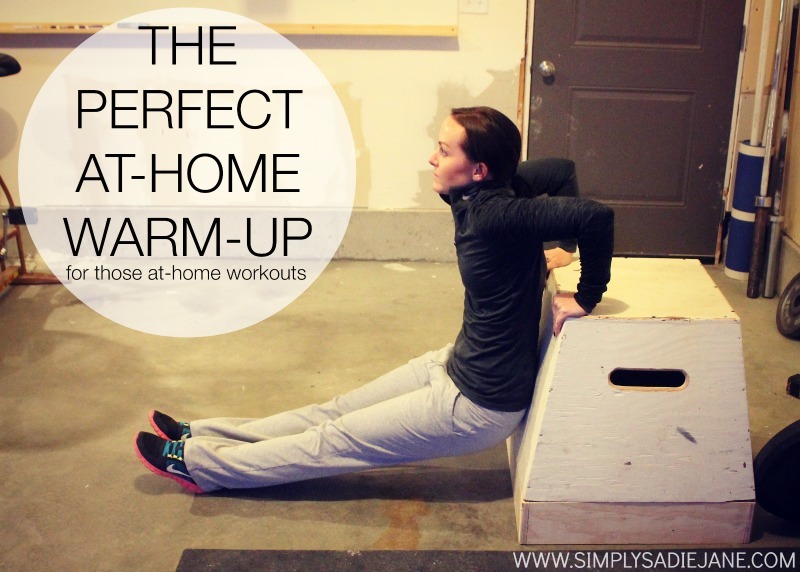 make sure to add this warm-up to your workout! 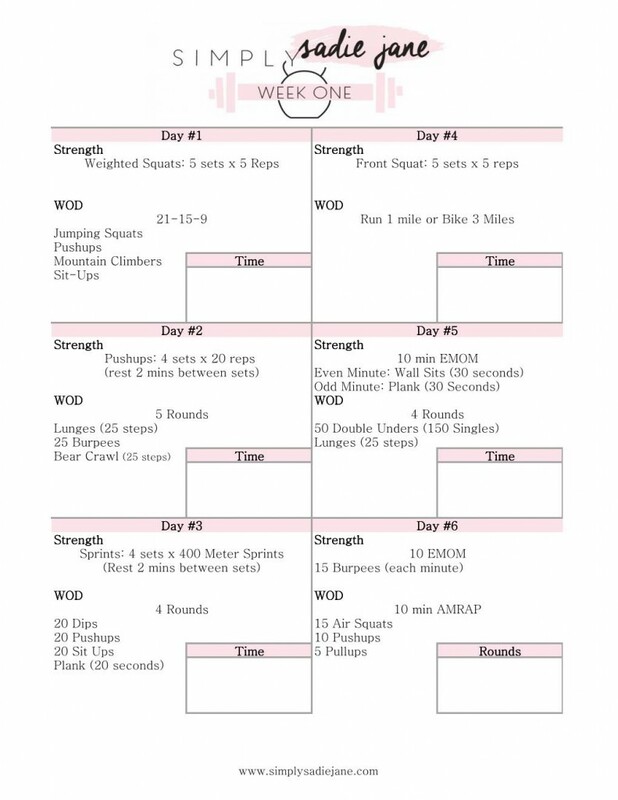 Before this post was made, I put together a huge CROSSFIT question and answer post. It’s more to answer those CrossFit questions and terms you might not understand. So many posts and great information at your fingertips!! 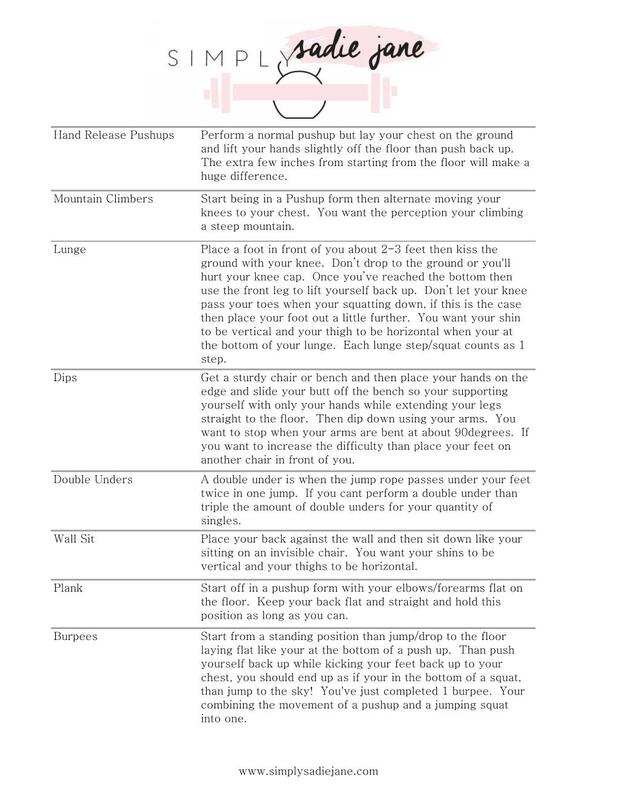 and last but not least, HERE IS THE LINK TO ALL THE ORIGINAL WORKOUTS! I hope you all have enjoyed this as much as we have! I am absolutely obsessed with all my followers and readers. You all can achieve so much if you only believe it! SO believe in yourself and let’s get moving. Speaking of moving…did you know my handsome hubby has his own transformation story as well?! He wrote it all down for me and I cannot wait to share it with you all. That is coming Wednesday so you should get excited about that!